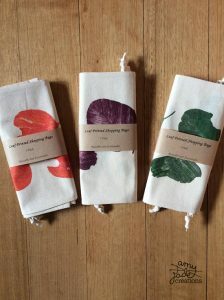 Produce Bags are a great way to cut down on your use of plastic and paper bags. 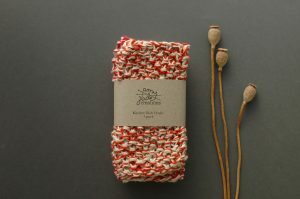 They are light weight, made from re-purposed cotton fabrics or quality cotton fabrics that are printed with leaves by hand. 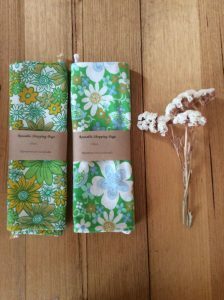 These bags are one of my most popular items. 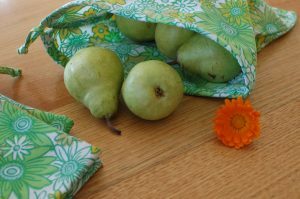 Not only are my customers using them for shopping with, but they using them as wrapping paper and multi-purpose drawstring bags. 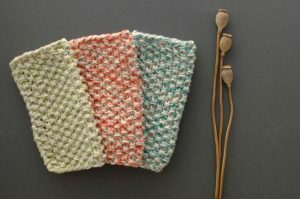 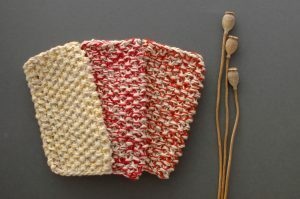 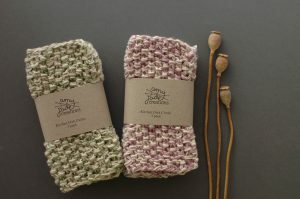 My Kitchen Dish Cloths are knitted with quality cotton yarn. 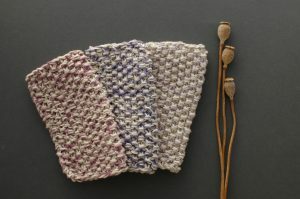 They are so lovely to use and work well at sweeping up all those crumbs. 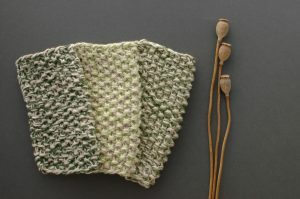 They are available in many colours as shown in the photos below.